Raj Ghat, a memorial to Mahatma Gandhi "Father of the Nation", is a simple black marble platform that marks the spot of his cremation on 31 January 1948. It is surrounded by a beautiful park with labelled trees planted by notables like Queen Elizabeth II, USA President Eisenhower, Ho Chi Minh and various others visiting dignitaries. Two museums dedicated to Gandhiji are nearby. It is located on the banks of the river Yamuna in Delhi in India on Ring Road officially known as Mahatma Gandhi Road. All guests must remove their footwear before entering the Raj Ghat walls. Several other samadhis or cremation spots of other famous leaders can be found in the vicinity of Raj Ghat on the banks of the Yamuna. 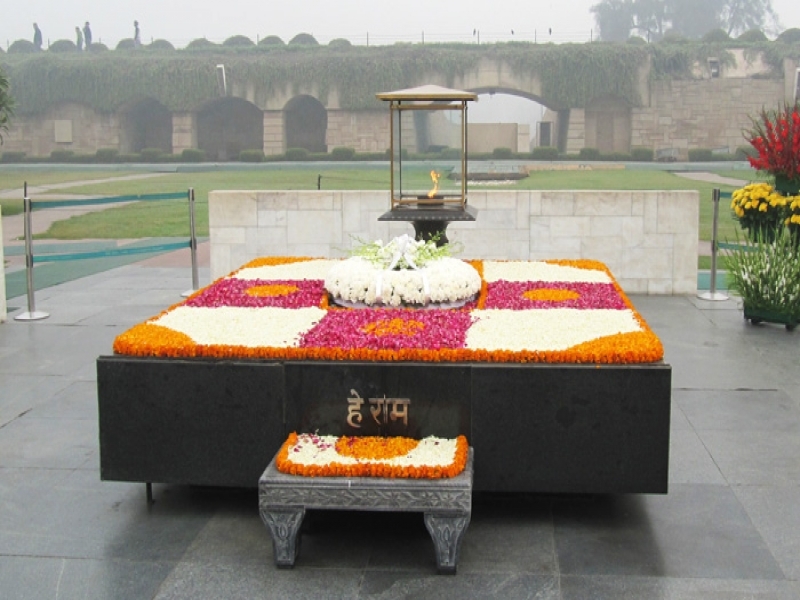 Jawaharlal Nehru's samadhi is to the north of the Raj Ghat and is known as the Shantivan or Shanti Vana meaning the forest of peace. His grandson Sanjay Gandhi's samadhi is adjacent to it. Been to Rajghat ? Share your experiences!